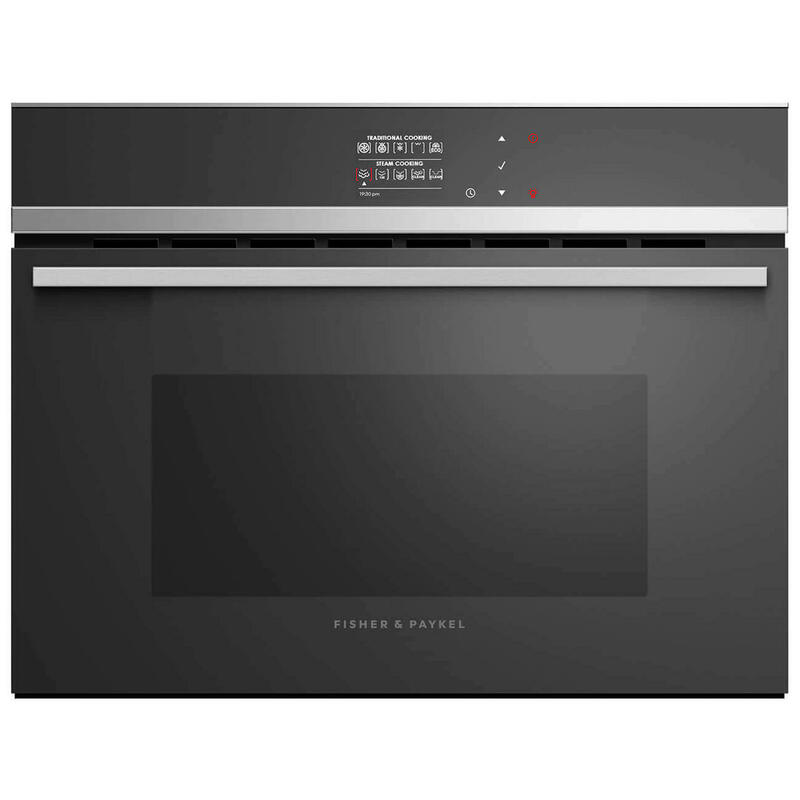 This Fisher & Paykel 36L Built-in Combination Steam Oven gives you a healthy alternative to cook food in its own juices to retain nutrients and flavour. 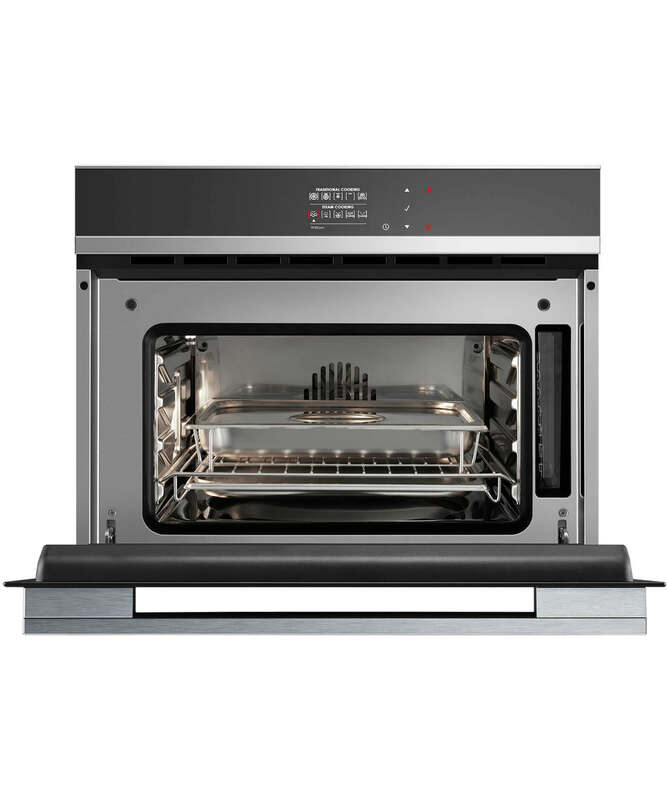 This compact 60cm Steam Oven can be placed almost anywhere. All companion products can be installed at a convenient height to suit your kitchen design and preference. The Combination Steam Oven allows you to cook food in its own juices to retain nutrients and flavour. With nine oven modes, it doesn’t just Steam, but also has Grill and Fan functions. Cleaning and care of the Steam Oven is easy. After each use, simply wipe the smooth stainless steel interior with a dry cloth.